You are on Main Street Southeast looking south towards the Mississippi River. 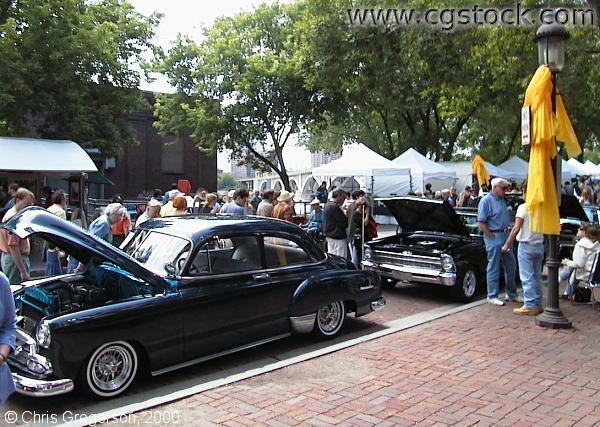 The restored cars in the foreground are part of the Art of Classic Cars show. The white tents in the right midground are for artists participating in the Stone Arch Festival of the Arts. The dark building in the background on the left is the old General Electric hydro Electric plant. Behind the trees, the Third Avenue bridge is visible at center frame.